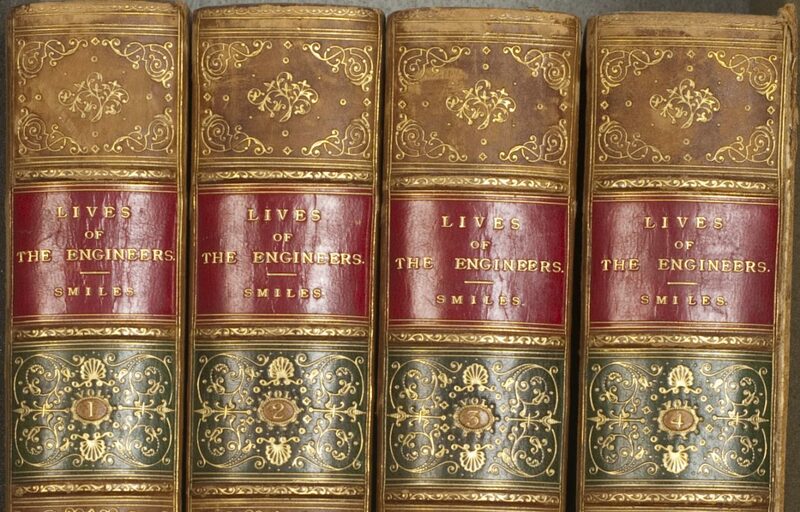 MIT’s copy of this illustrated book on Stonehenge is something special. It belonged to Harold “Doc” Edgerton (1903-1990), the MIT Institute Professor who perfected the electronic stroboscope. 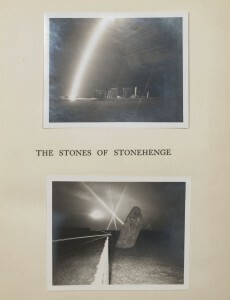 Edgerton has pasted many of his own photographs of Stonehenge into his copy, turning it into a volume that’s been “extra-illustrated” by a notable figure in the history of photography. The images are striking. Many of them are bird’s-eye views, while others are illuminated by shooting flares, revealing not only the ancient stone structure, but also the cows grazing lazily nearby. Edgerton’s own photographs surpass in drama and monumentality those published in the book. There is additional evidence that Stonehenge made a powerful impression on Edgerton. Two pages of handwritten notes on lined paper, found inside the volume, list various facts about the structure, and also name a few reference sources. 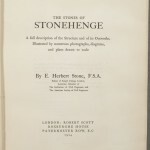 Years later, some of Edgerton’s Stonehenge photographs would serve as illustrations in the 1965 book Stonehenge Decoded by Gerald S. Hawkins and John B. White: shots that had originally served as reconnaissance photography have become publication-quality architectural illustrations. 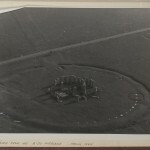 Edgerton retained an interest in Stonehenge long after his time there in 1944. 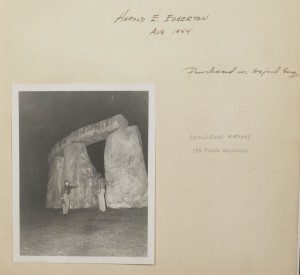 In Edgerton Lab Notebook 33 (available for viewing online through MIT’s Edgerton Digital Collections), he recorded that on January 14, 1981 he delivered a lecture “on Stonehenge and Cousteau” – two names so completely disparate that they could be yoked together only in a lecture by Doc Edgerton. 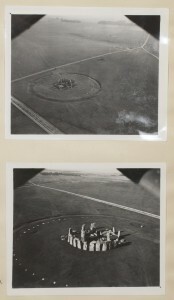 The Edgerton Digital Collections also include digitized versions of several of his Stonehenge photographs. 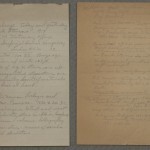 Edgerton’s papers, comprising some 50 cubic feet of correspondence, lab notebooks, photo albums, autobiographical information and other materials, are available for use in MIT’s Institute Archives and Special Collections.